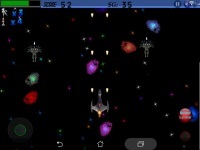 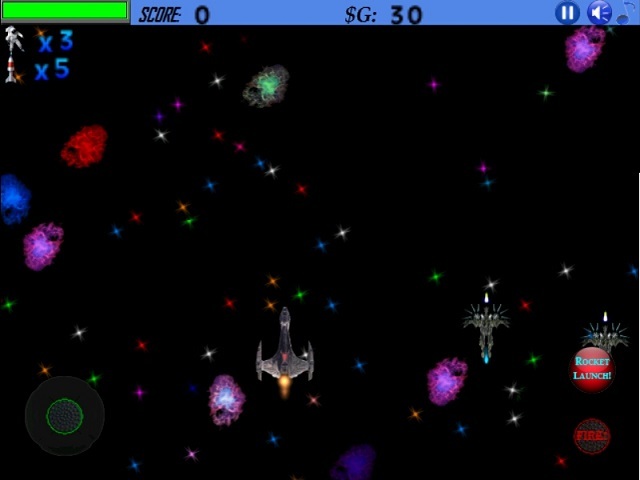 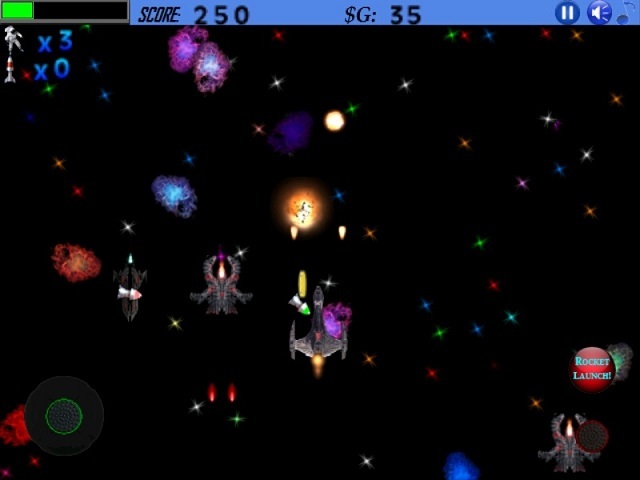 Scrolling space shooter. 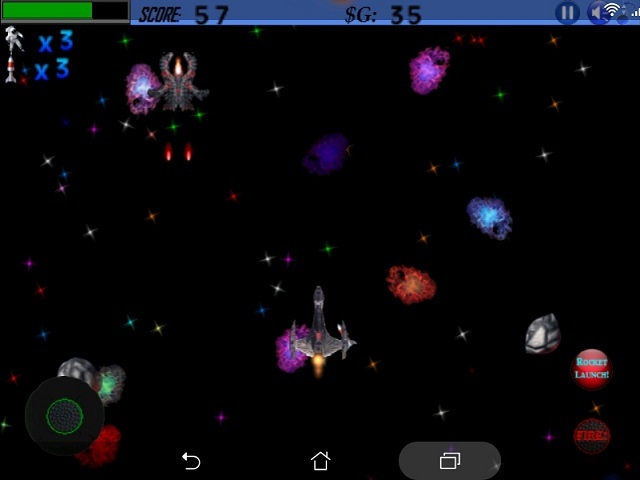 - time to time increasing number of alien enemies. 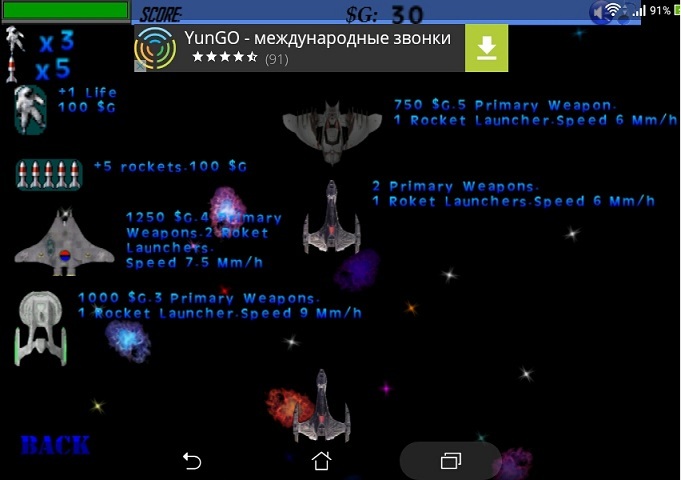 - two tipes of weapons(blaster & rockets). 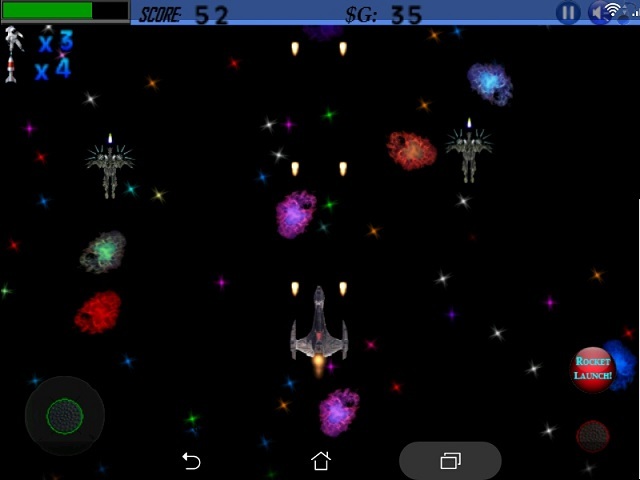 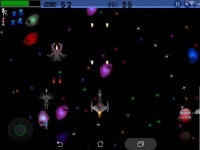 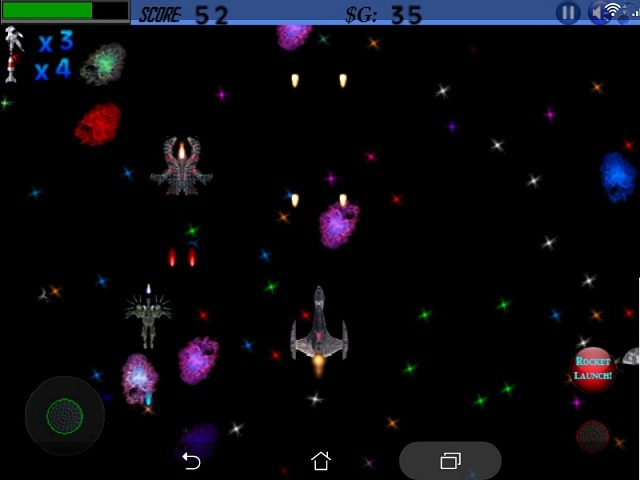 - droped powerups from enemies & asteroids( life, hp, rockets) - avoid asteroids or shoot em! 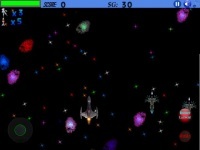 - avoid enemy homing missles! - stay alive as long as you can! -earn gold & buy upgrades & new ships!